Whether you're just off to grocery store or being forced to leave for an extended work trip, it's always hard for a loving dog owner to leave their pet at home. 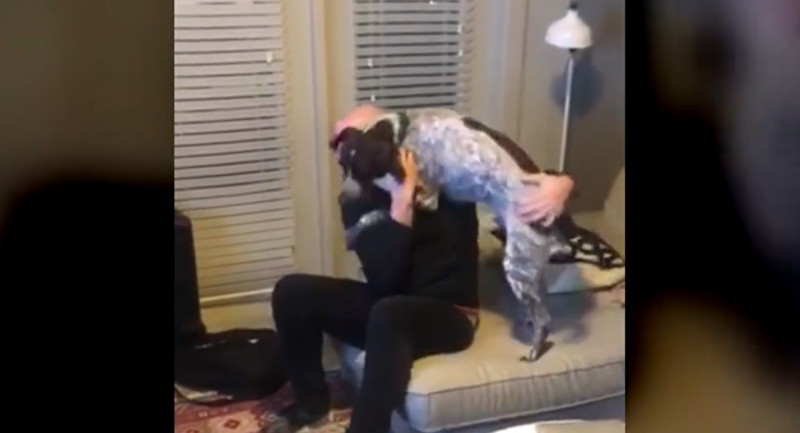 Despite this pup's owner being away for an entire month, he clearly didn't forget about him, as he jumps on and around the man upon his return. The hyper hound even climbs on top of his owner and eventually knocks him over (with love, of course). "This is adorable. Love seeing how much he loves his dad. This puppy is never going to let his dad leave again. 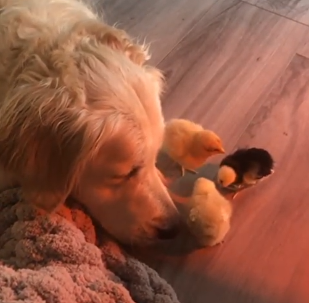 We don't deserve dogs," commented Facebook user Karen Bouldin.